When it comes to building big, powerful looking arms, the majority of us know that we need to focus on the triceps. Because as you can tell from the below photos of me, they actually make up most of the size of your arms. But sheer size is one thing. 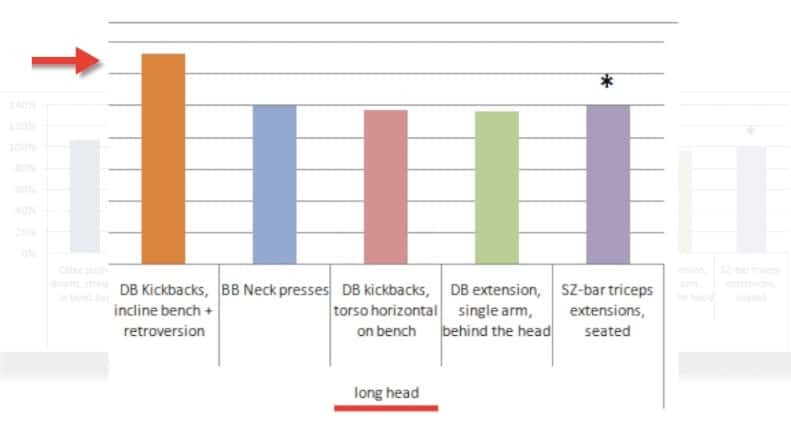 As is the case with the different biceps heads or regions of the chest, what really makes the difference in terms of the aesthetics of your triceps is the relative development of each head. And to fully understand what I mean with the above statement, we need to first take a more in-depth look at the anatomy of the triceps. 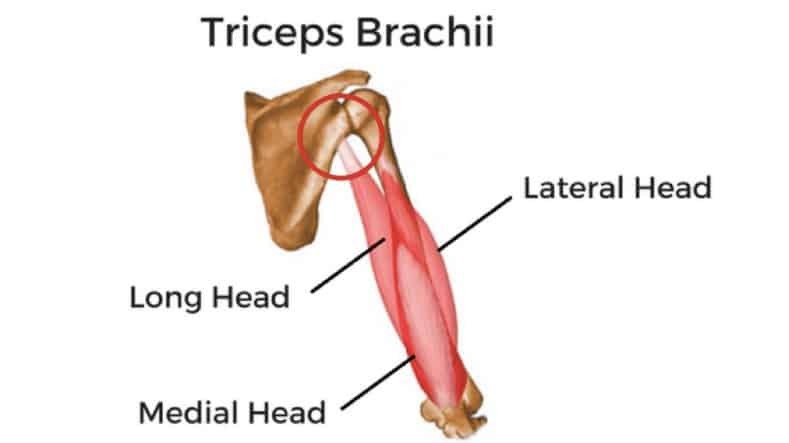 Now for those who are unaware, the triceps is composed of 3 heads. And as you’ll see, each head plays a vital role in contributing to the overall look. 1. 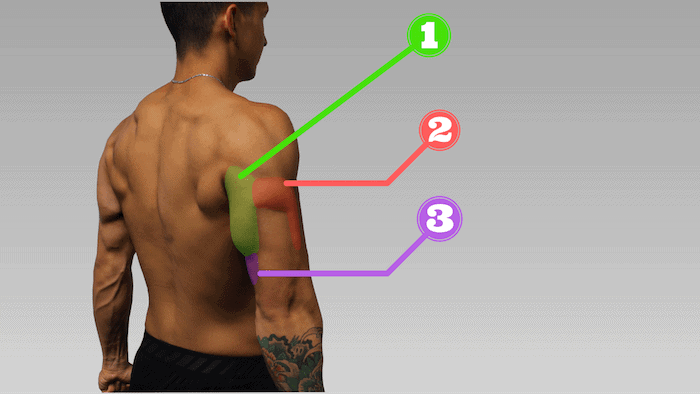 There’s the long head, which is responsible for most of the overall mass of your triceps and is located towards the back of your arm. 2. There’s the lateral head, which is smaller than the long head but is the most visible head from the side. 3. And lastly, there’s the medial head. 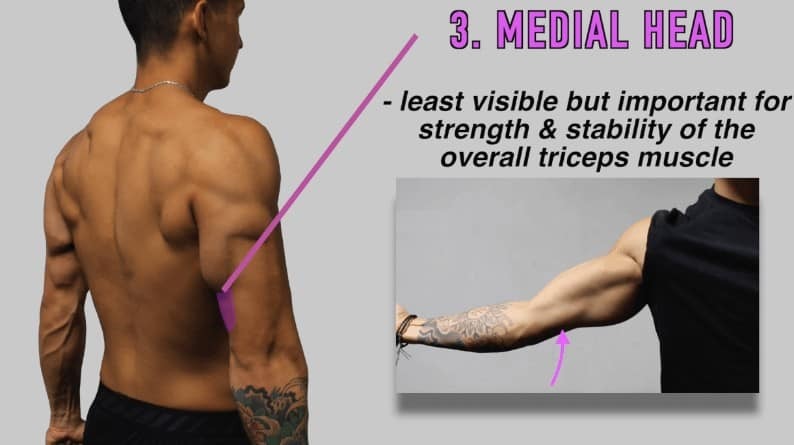 Although it’s the least visible of the three, it still plays an important role in triceps definition and in providing stability and overall strength for the triceps muscle as a whole. Emphasizing the fact that it’s the proportionate development of all 3 heads that is the key to creating aesthetic-looking triceps. 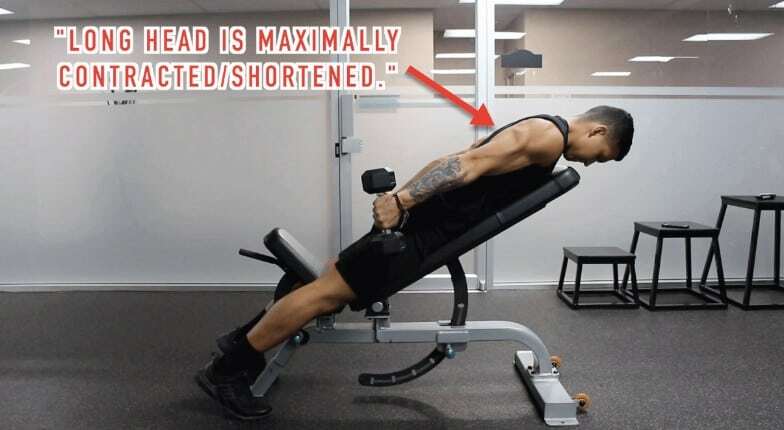 And in order to accomplish this, rather than doing just any triceps workout, it’s vital that you instead choose the best exercises for each head. Because although all 3 heads cross at the elbow joint and therefore will all be active to some extent in any triceps movement…. 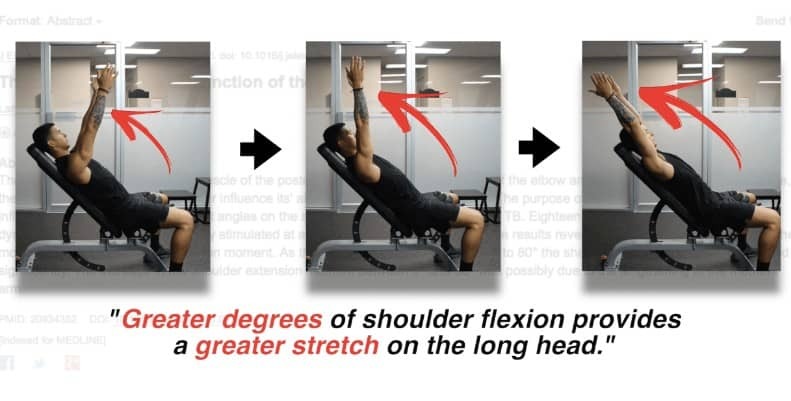 …we do ALSO know based on the literature and based on the anatomy of the triceps, that we CAN emphasize the involvement of each triceps head through proper exercise selection. So in this article I’ll show you exactly how to do so by going through the best triceps exercises for each head AND I’ll show you how to implement them into your routine based on where your triceps are lagging. 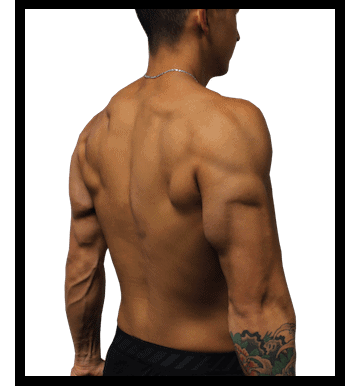 As discussed previously, the long head makes up the majority of the triceps and usually has the most potential for growth especially. This is because most people just don’t effectively emphasize it within their routines. Well, the unique thing about the long head of the triceps lies within its anatomy. It’s the only head that crosses over the shoulder joint, meaning that as you’ll see, it can be preferentially targeted through exercise manipulation. 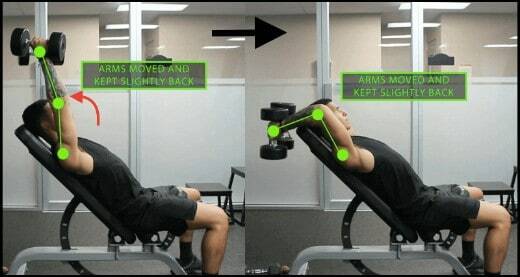 One of the best exercises that accomplishes targets the long head are incline dumbbell triceps kickback. By moving your arms back such that they’re parallel with the body and then fully flexing at your elbows, you’re putting the long head in a state of maximum contraction relative to the other 2 heads which leads to greater activation. 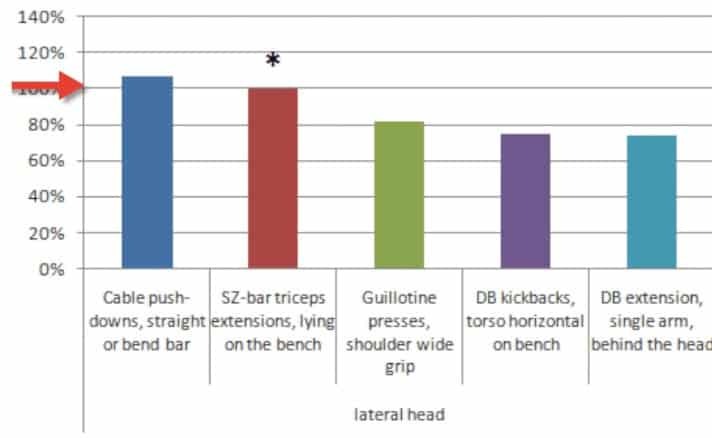 In fact, as shown in this EMG study by Boehren’s and Buskies, incline dumbbell triceps kickback elicited the highest long head activation when compared to 9 other common triceps exercises. 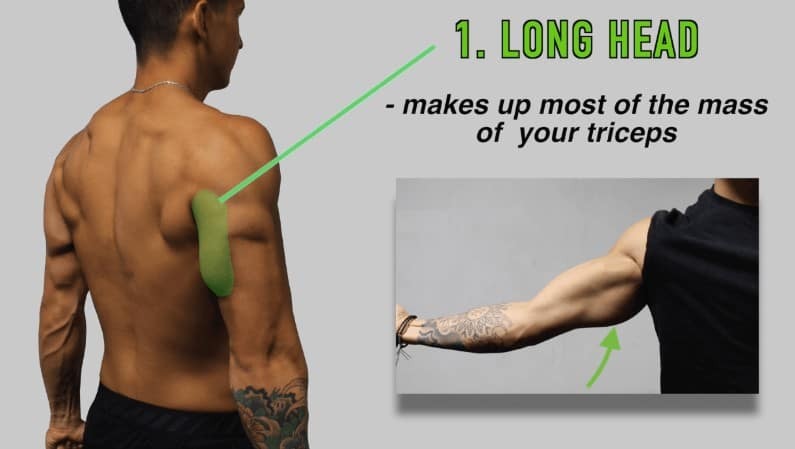 BUT, in order to reap the benefits of this triceps exercise, it’s vital that you perform it correctly. 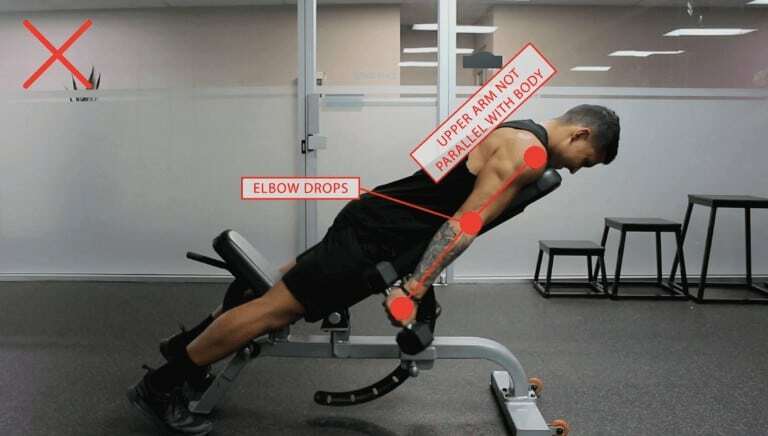 Now despite this exercise’s benefits, the main downside with this tricep exercise is that tension and overall load is sacrificed when compared to other movements. This is where the next exercise will come in handy. 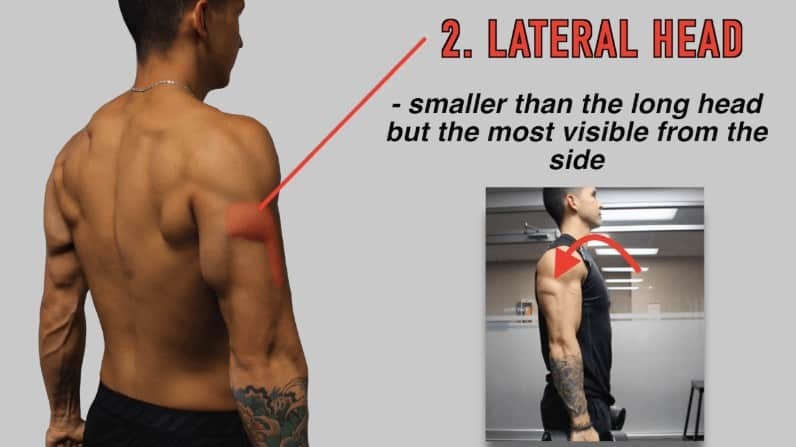 Based on the triceps anatomy, any exercise that places the shoulders in a flexed position will emphasize the long head of the triceps to a greater degree – and there are several exercises that do this. But in my opinion, incline dumbbell overhead extensions are a smart choice. It’s one of the safer versions for the shoulder joint. It provides a better stretch on the long head since you’re lying on an incline which allows the shoulder can be flexed to a greater degree. However, as with the previous exercise, proper form becomes essential in order to maximize the effectiveness of this exercise. Because as shown in this 2006 biomechanical analysis of the triceps: greater degrees of shoulder elevation provides a greater stretch on the long head. This way, you provide more stretch to the long head which in turn enables the long head to be active throughout the whole range of motion. Since these heads don’t crossover the shoulder joint like the long head does, it makes it difficult to preferentially target one over the other. However, we can make some inferences based on EMG analysis. Cable pushdowns with a straight bar or a V-bar seems to be the best isolation exercise for the lateral head when compared to other triceps exercises. When a rope instead of a bar is used, the exercise now involves greater medial head involvement while also becoming a more balanced triceps exercise for all heads. So by knowing this difference, you’re able to slightly favour one head over the other. Why do I recommend this exercise for lateral and medial head development? 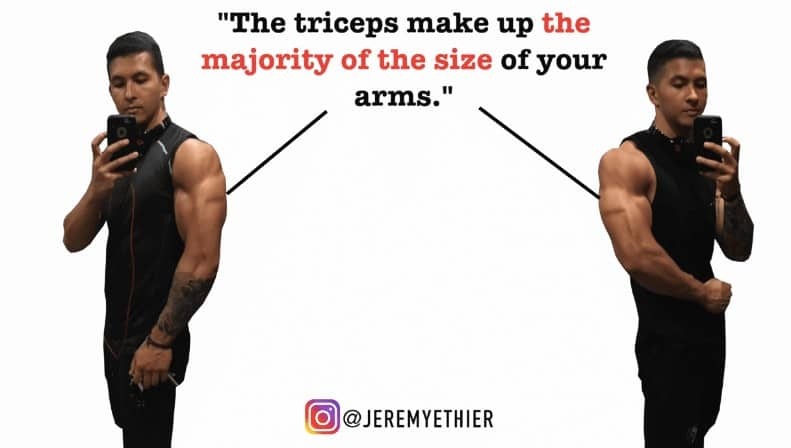 Because research indicates that the triceps are composed of mostly type II muscle fibers (~67%) which are thought to be best stimulated by using heavy weight. 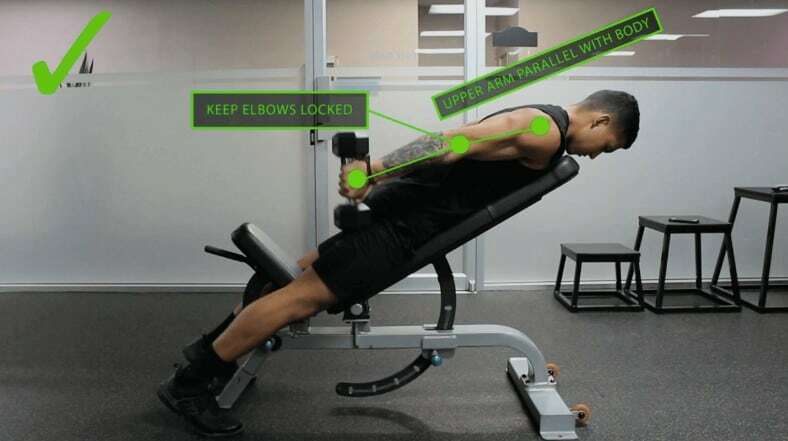 So by incorporating an exercise such as the weighted triceps dip which can be progressively overloaded with heavy weight, you’re ensuring that you’re maximally stimulating the triceps muscle fibers. Work on Your Weak Points! Now despite all the triceps exercises I previously went through, it’s also vital that you’re aware that most of your triceps development will come from your main heavy compound pressing movements. This is because you’re able to most effectively overload those movements with weight when compared to isolation exercises. 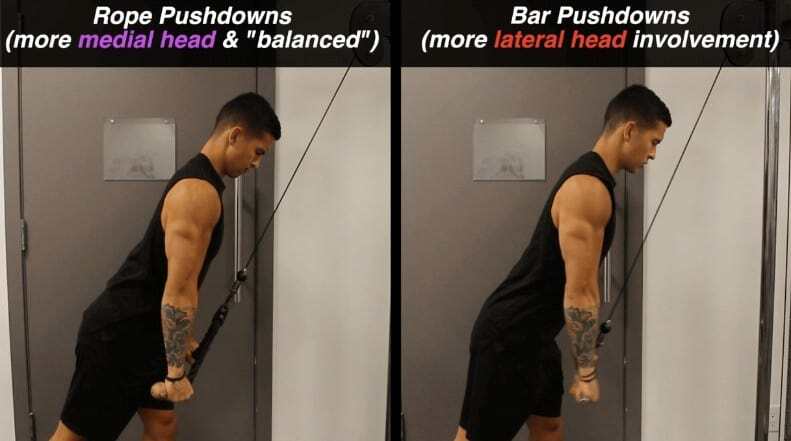 For example, the standing overhead shoulder press is likely going to contribute quite a bit more to your triceps development than pushdowns will. So for example, if I thought my lateral head was lagging, I’d mainly focus on weighted dips and straight bar pushdowns as my main triceps movements. 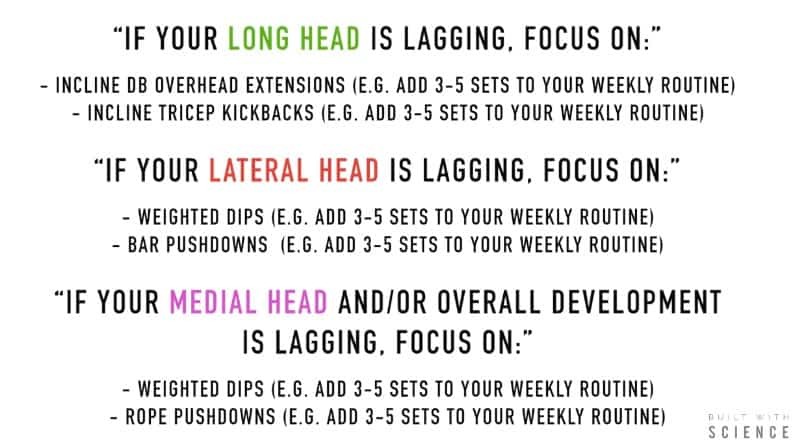 This way, you’re not trying to do everything at once which can be detrimental and instead, you’re focusing on bringing up what’s lagging which will make a big difference in the overall aesthetic of your triceps. Now that’s pretty much it for this article. Let me know in the comments if you have any questions that I can help you with. Don’t forget to show me your support by giving me a follow on Instagram , Facebook , and Youtube where I’ll be posting informative content on a more regular basis. Any alternatives for the lateral and medial head that can be done with dumbbells, bands, or body weight (i.e., no gym needed)? Close grip pushups, band extensions, close grip DB press. Great info! I really like all of your research and how to properly implement it. It’s simplified and easy for me to follow and use at the gym. Thanks for all your hard work and routines you share! Superb, common-sense, well-researched article Jeremy. Very informative and practical. Love your posts. Hi Jeremy, quick question. If I don’t do tricep kickbacks on an incline, is it still targeting the long head of the tricep? Yes just not to as great of an extent!